Sixth of October for Development and Investment (SODIC) has signed a partnership agreement with the New Urban Communities Authority (NUCA) to build a full-fledged urban project over 500 acres in Sheikh Zayed city. 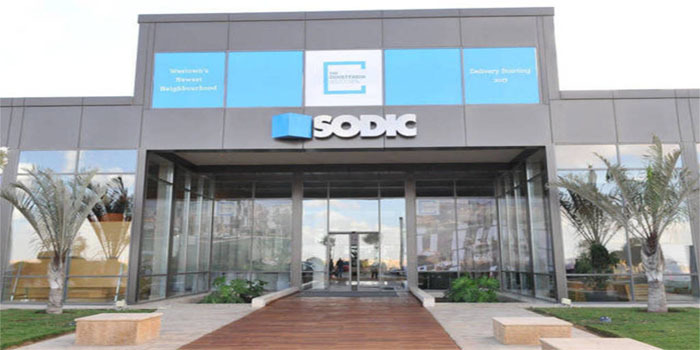 The anticipated project is expected to be constructed at a value of EGP 43 billion upon which NUCA will allocate up to EGP 15.3 billion under the deal over 11 years, SODIC said in a statement to the Egyptian Exchange (EGX) on Thursday. SODIC previously announced it had been awarded a 500-acre land plot in Sheikh Zayed for the establishment of an integrated urban project. NUCA’s stake includes fixed installments worth EGP 8.8 billion including EGP 300 million in advance, in addition to 15% of annual proceeds, according to the statement. The project is set for launch in the fourth quarter of 2019, the property company said, adding that the development is expected to feature around 5,000 units. The company will offer the units at a price of EGP 2,470 per metre based on the current net value at deduction rate of %16.